Table Dimensions: 27 inch L x 27 inch W x 14 inch H; 13lbs. California Outdoor Coffee Table in Charcoal Tap into the magic of summer with the ALLiBERT outdoor coffee table! Manufactured in the Netherlands, ALLiBERT designs easy-going furniture for easy-going people. The attractive 6mm round California outdoor table has a luxurious look and feel. 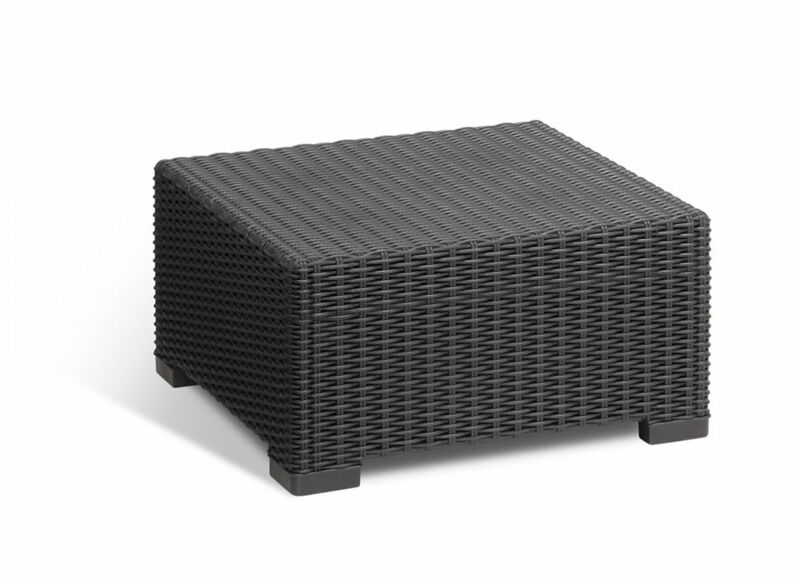 The wicker resin is charcoal in colour and matches the rest of the ALLiBERT California outdoor charcoal furniture line. California Outdoor Coffee Table in Charcoal is rated 4.2 out of 5 by 6.